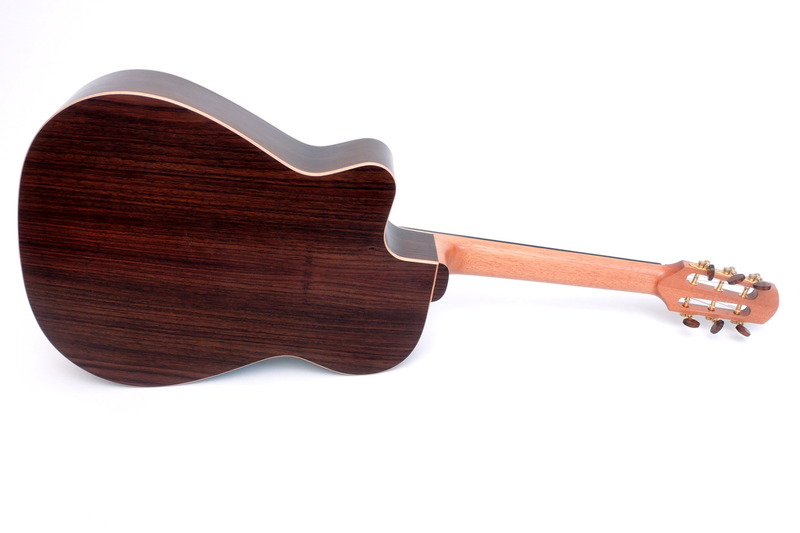 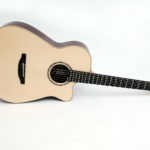 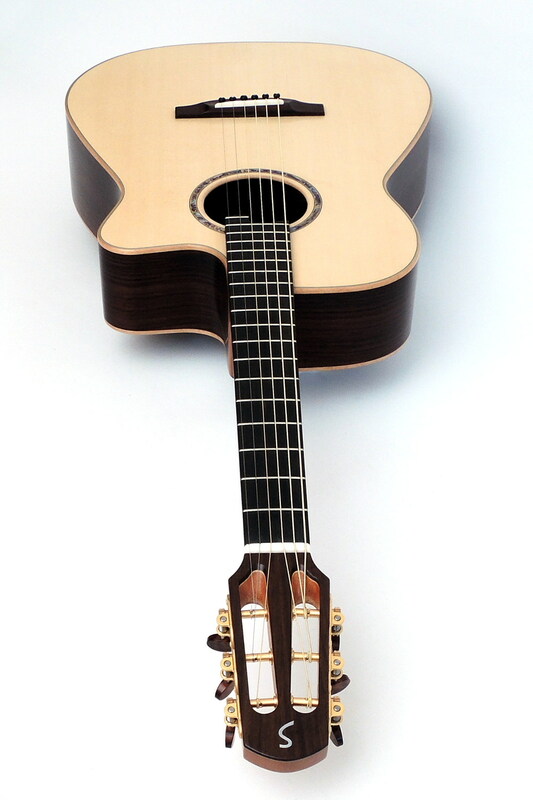 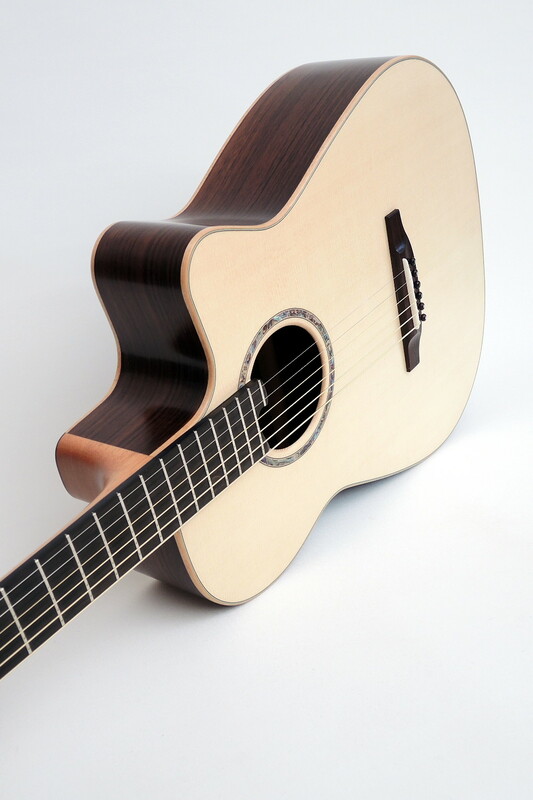 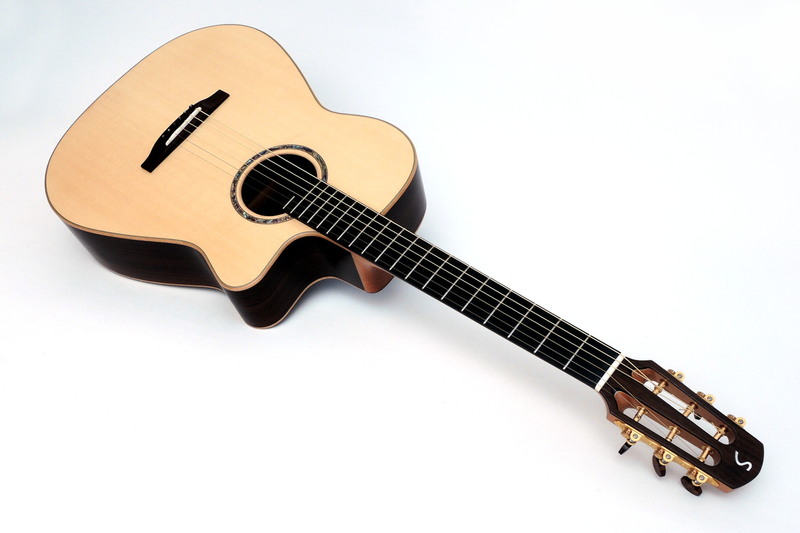 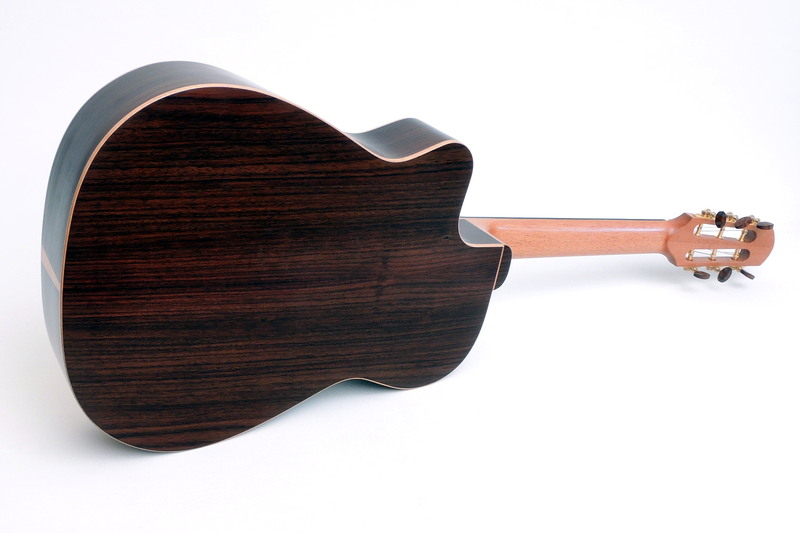 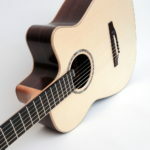 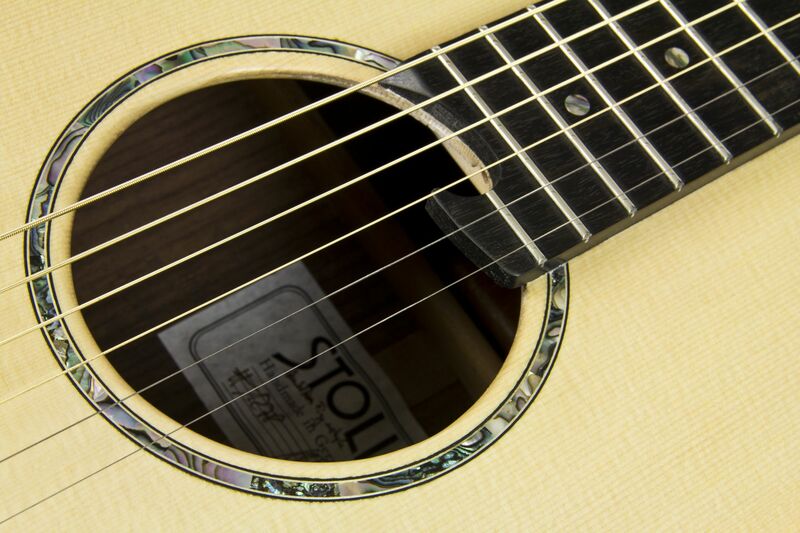 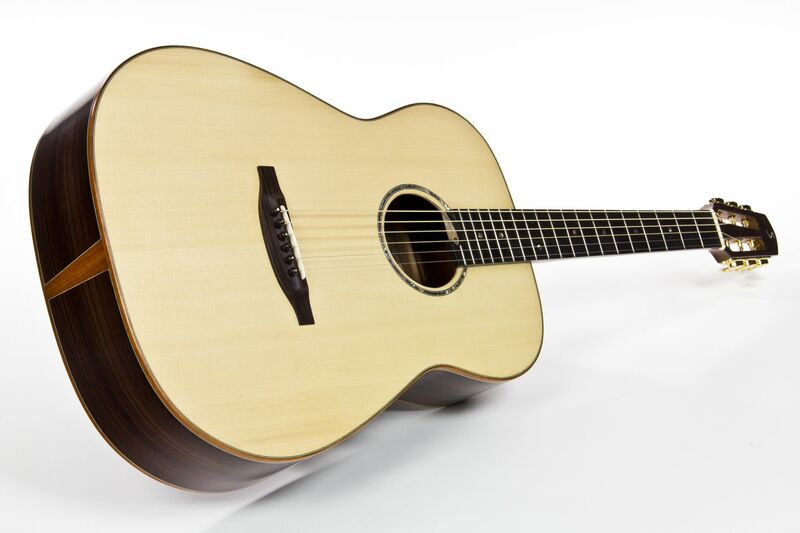 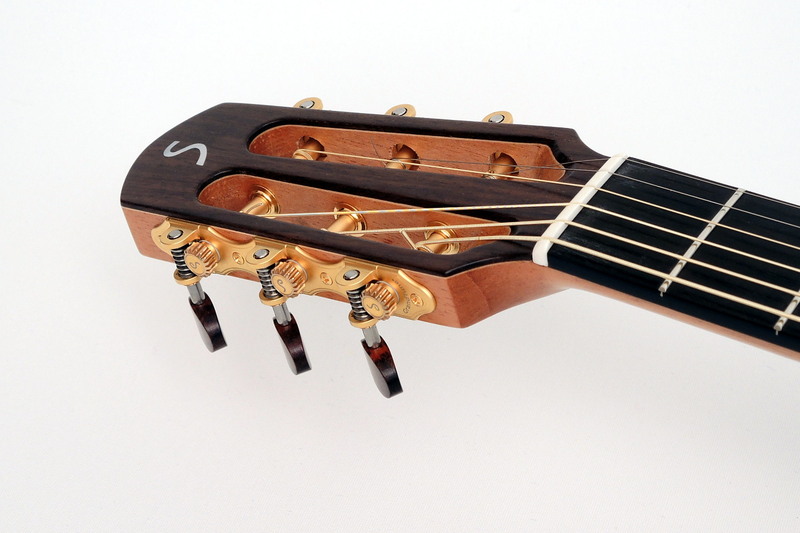 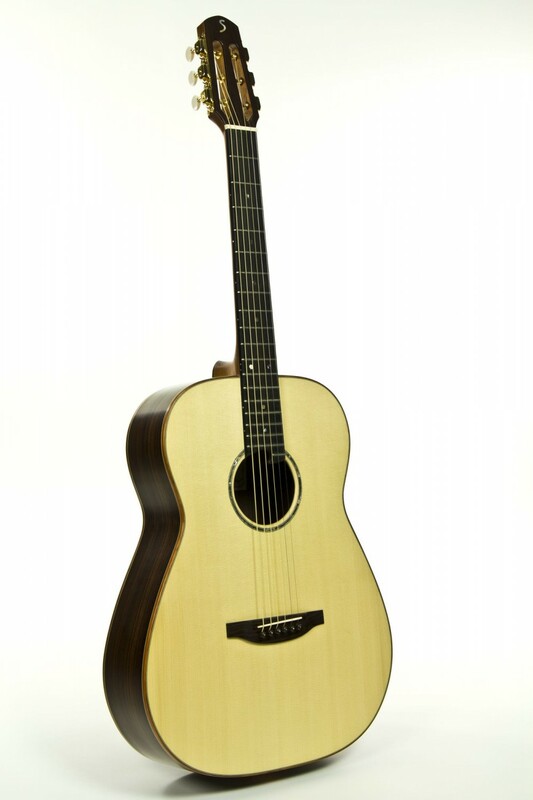 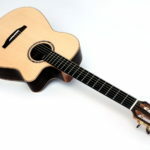 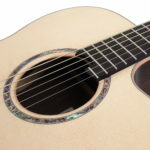 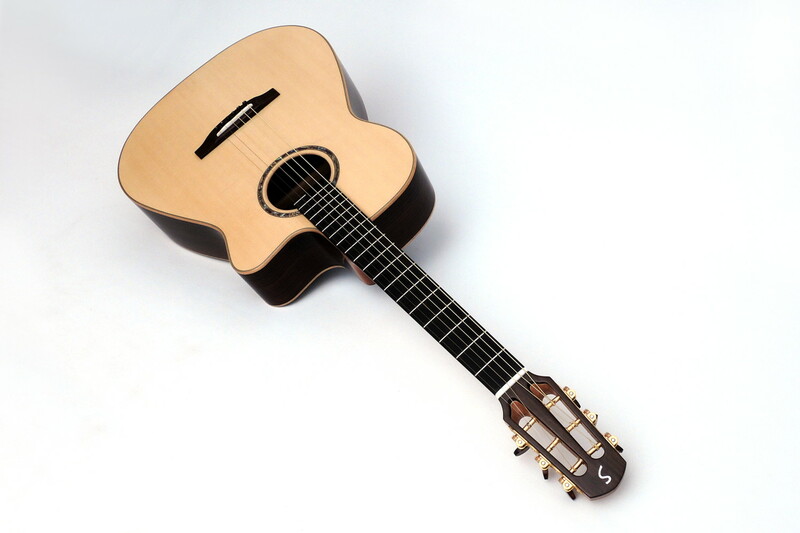 Ambition Fingerstyle is characterised by an extremely quick response and a full, round tone. 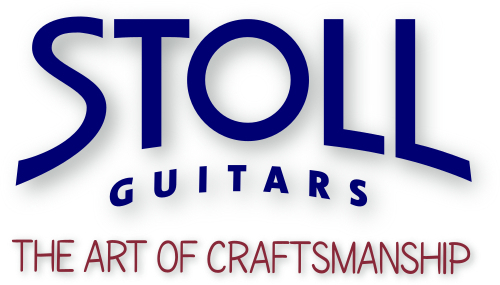 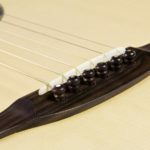 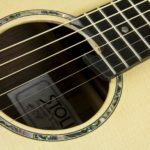 It is ideal for fingerpickers, friends of Celtic music and all classic guitarists who do not want to miss the usual playing comfort when switching to steel strings. 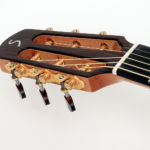 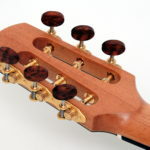 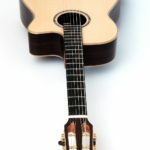 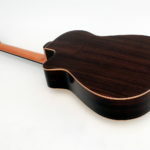 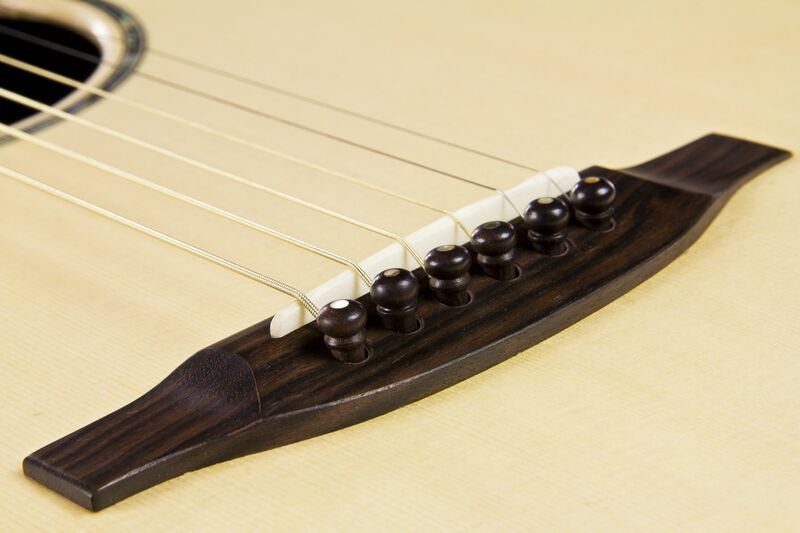 The neck-joint is at 12th fret. 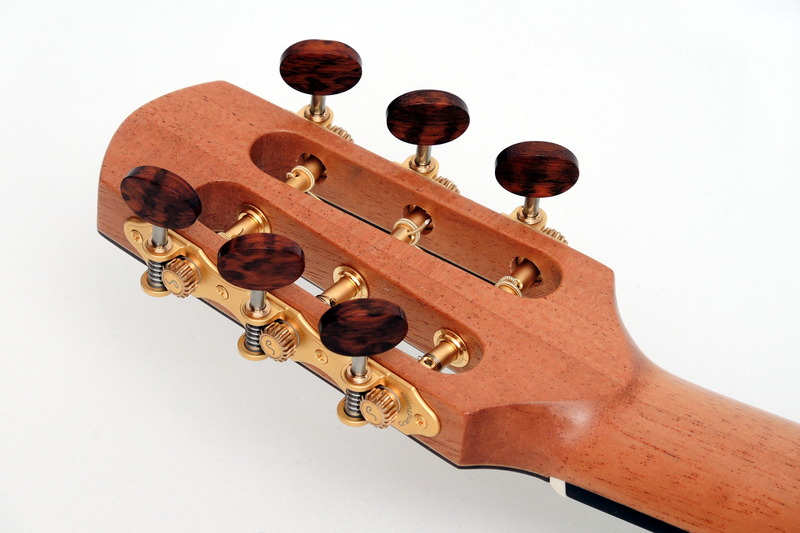 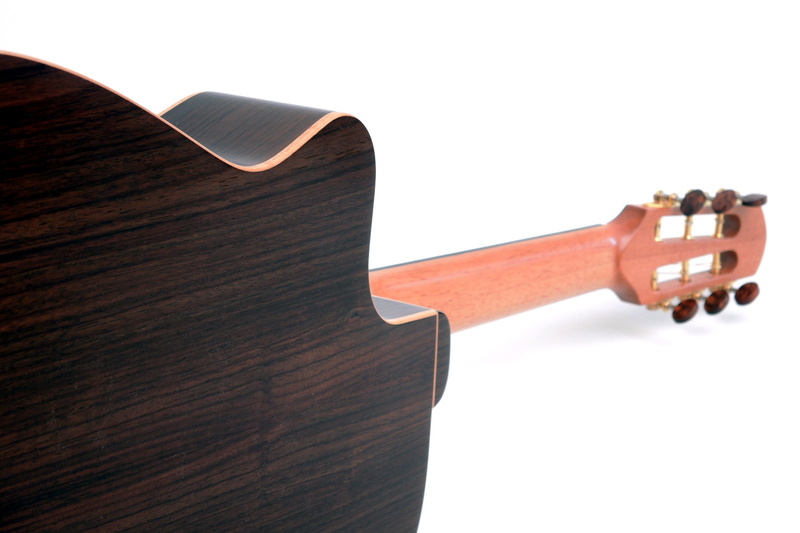 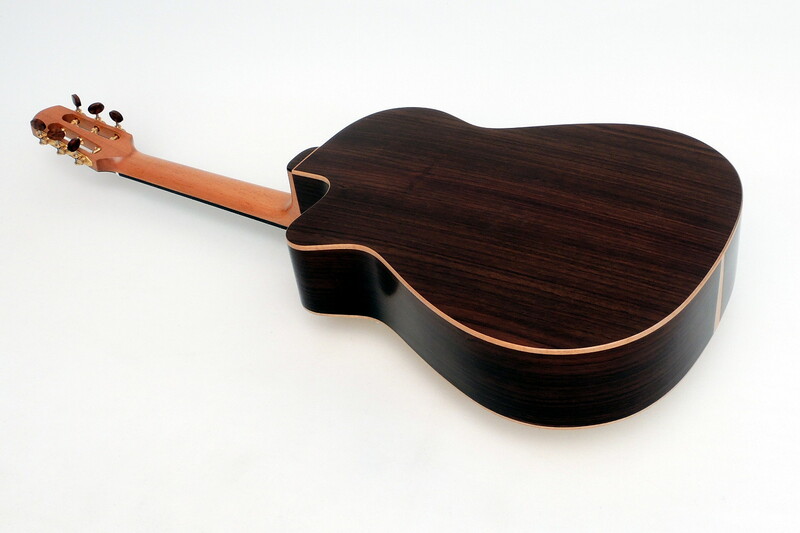 The neck is 46.5 mm slightly wider than a standard Ambition, but can be varied as desired without any extra charge. 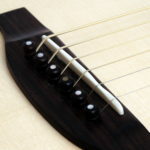 Due to the natural dynamics between bridge position and top, 12-fret guitars sound wonderfully harmonious and can be played even more easily than our 14-fret guitars. 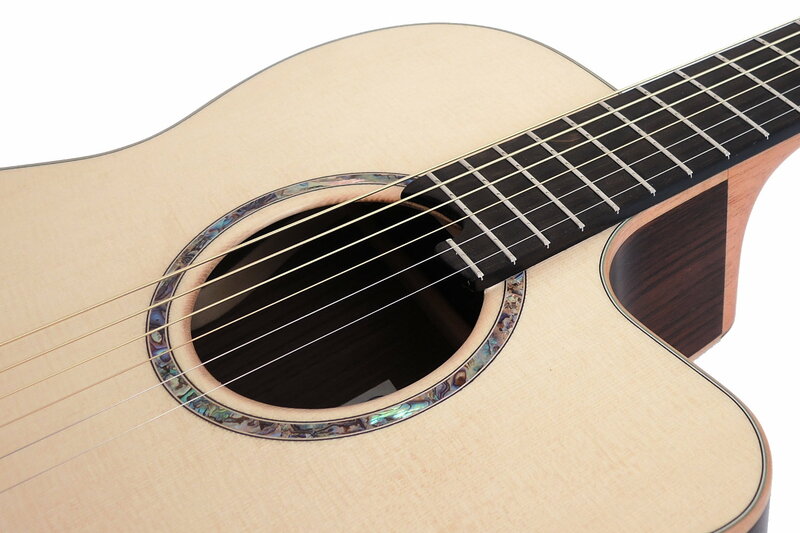 With a frequency spectrum of exceptional extent, this steel string guitar is predestined for fingerstyle players of all genres. 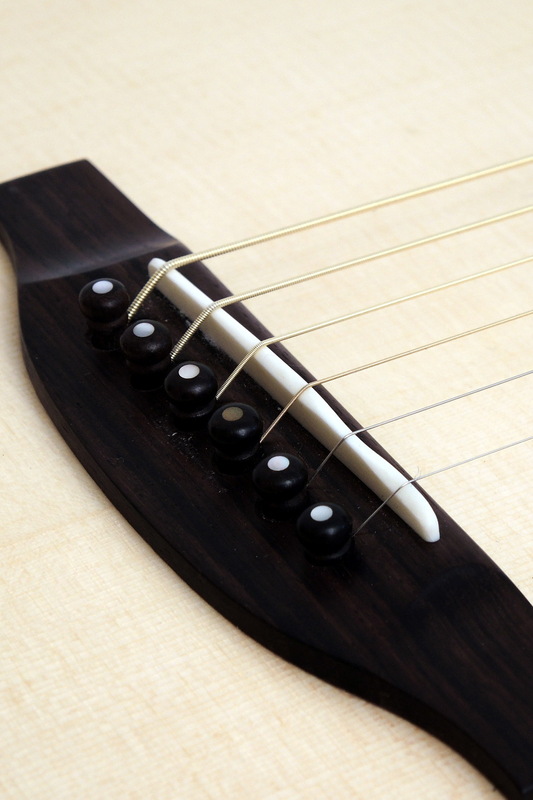 Deep basses, which do not dominate the sound impression, have been combined with expressive, brilliant highs. 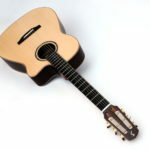  In addition it offers a very clean sound separation enabling the player to master quick arpeggios with ease. 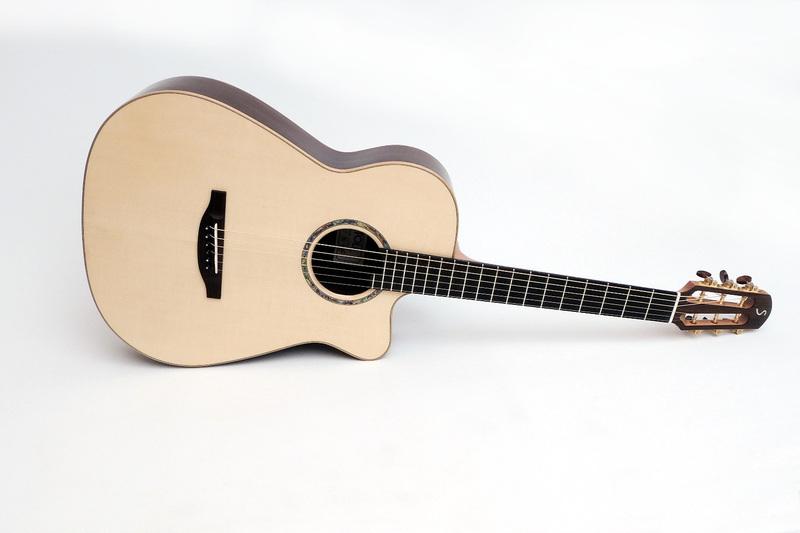 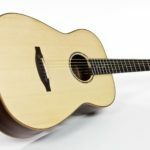 Of course our Fingerstyle model features the basic characteristics of the Ambition series like Spanish neck, light, balanced construction, domed top, full sound range from day one, comfortable neck shaping and optimised string action. 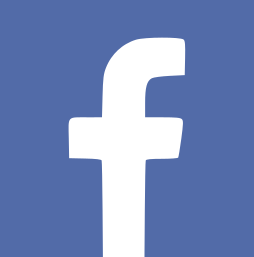 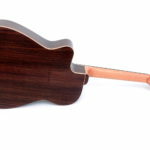 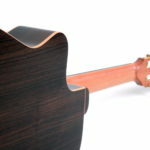 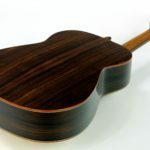 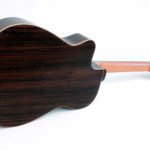 We provide Rosewood, Maple, Ovancol, Mahogany, Mango, et al. 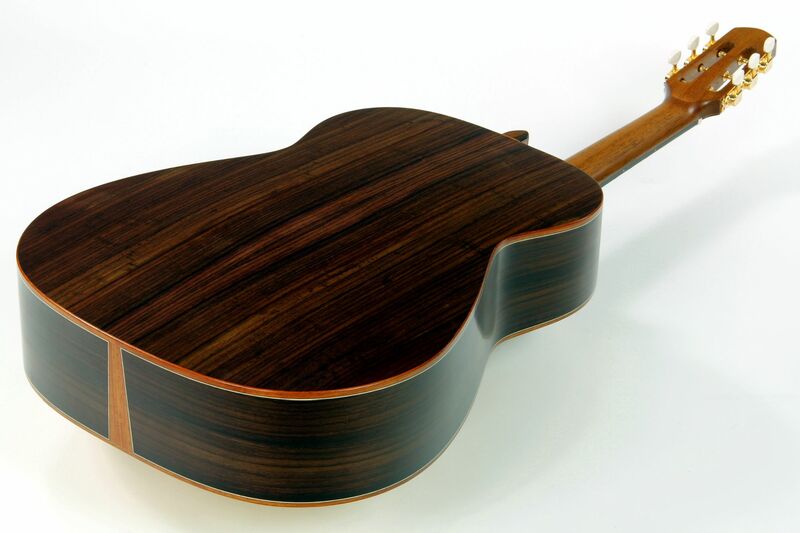 Wood choice is not only for optical reasons but may also influence the sound characteristics a little bit.